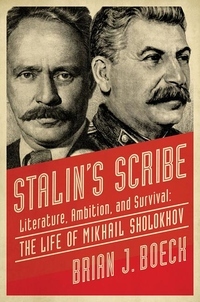 Stalin's Scribe is remarkable biography that both reinforces and clashes with our understanding of the Soviet system. It reveals a Sholokhov who is bold, uncompromising, and sympathetic--and reconciles him with the vindictive and mean-spirited man described in so many accounts of late Soviet history. Shockingly, at the height of the terror, which claimed over a million lives, Sholokhov became a member of the most minuscule subset of the Soviet Union's population--the handful of individuals whom Stalin personally intervened to save.